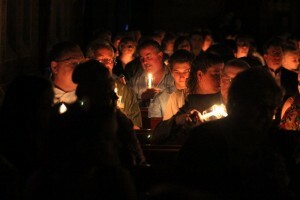 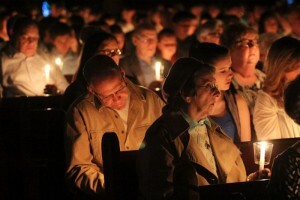 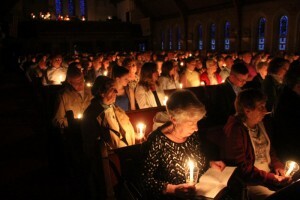 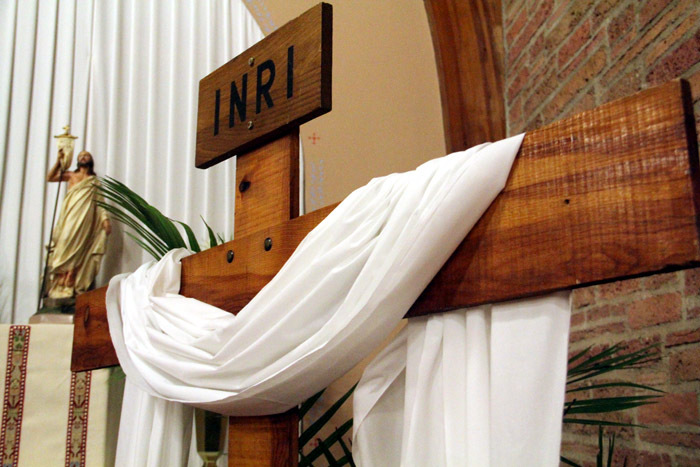 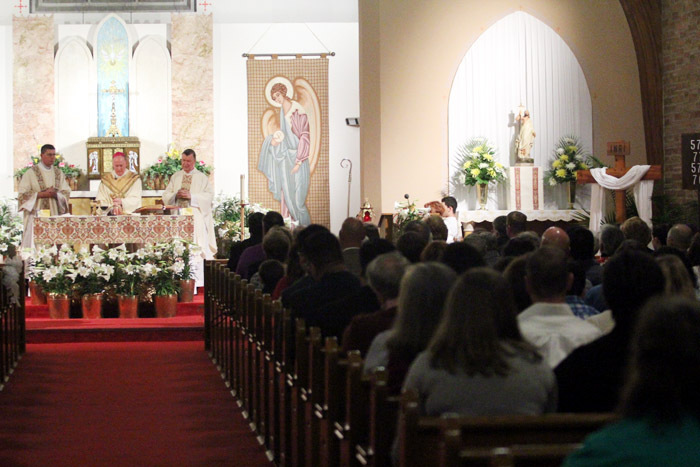 Parishioners listen to the Word of God proclaimed during the Liturgy of the Word during the Mass. 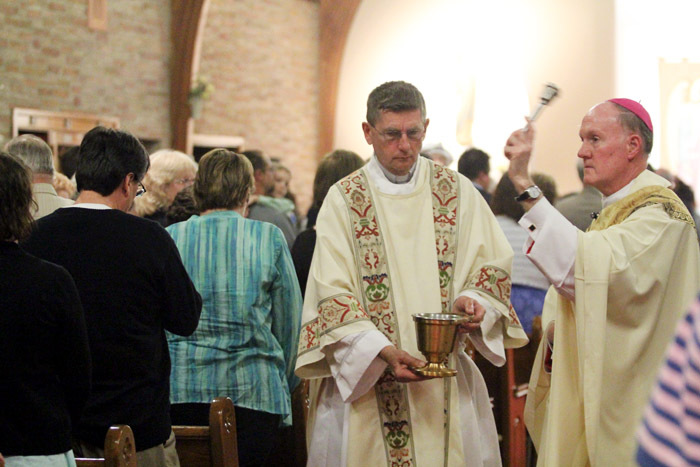 Bishop Fitzgerald celebrates the Liturgy of the Eucharist during Mass, with Father Eckert concelebrating and Deacon Leonard assisting. 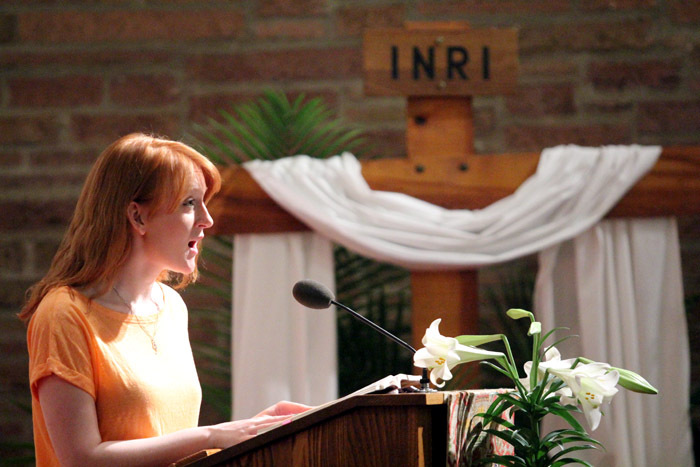 Cantor Abby Merk sings Allelujah. 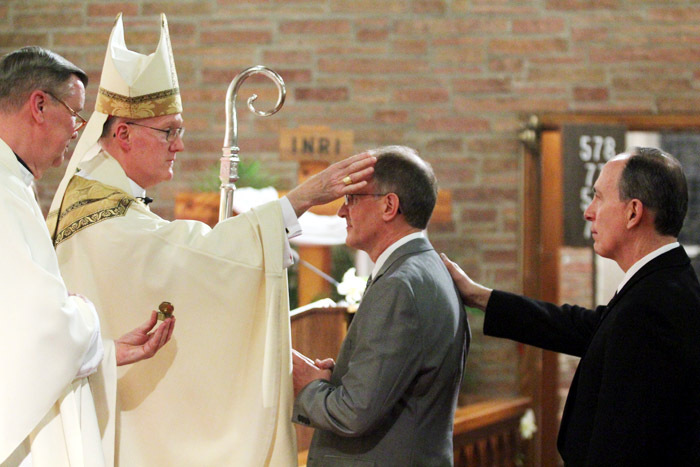 Bishop Michael Fitzgerald confirms Geoffrey Shoffstal while his sponsor David Seneca lays his hand on Geoffrey’s shoulder at Holy Trinity Parish in Morrisville. Deacon Warren Leonard assists Bishop Michael Fitzgerald as he sprinkles the congregation with holy water. Bishop Michael Fitzgerald and Father John Eckert, pastor of Holy Trinity, follows behind the paschal candle and Deacon Leonard in procession. 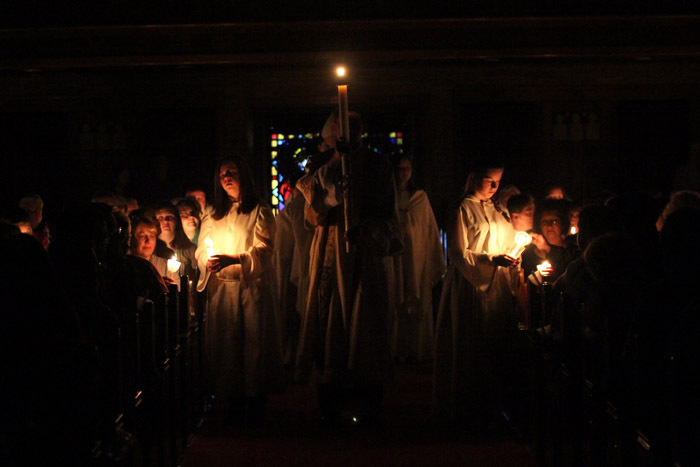 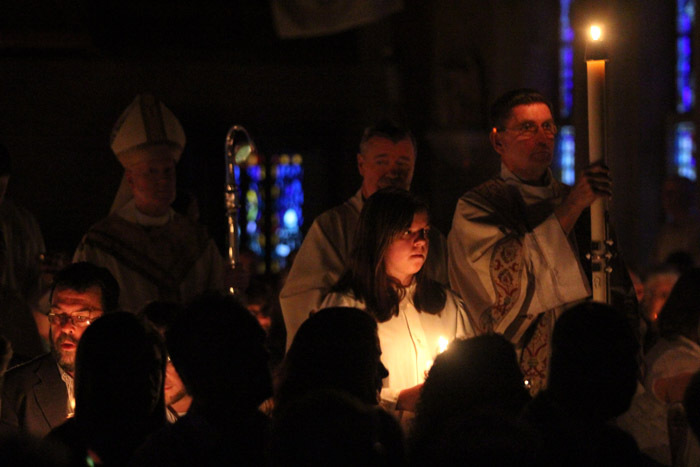 Altar servers Hallie Gallagher and Olivia Dees help participants in the Mass light their candles from the paschal candle, leading the procession in Holy Trinity Church. 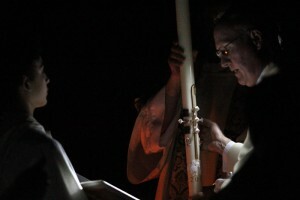 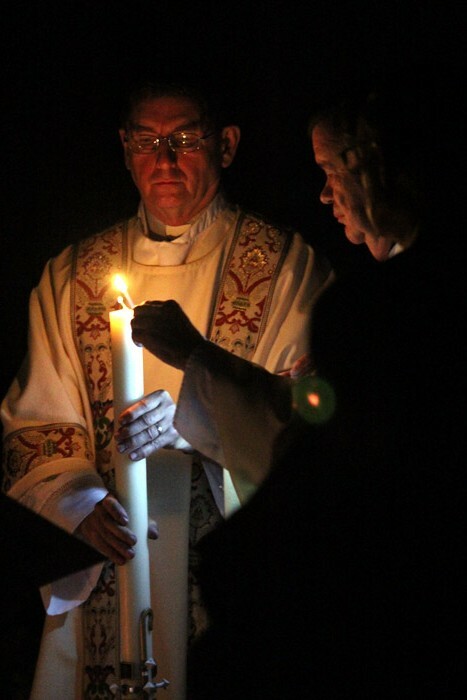 Father John Eckert, pastor of Holy Trinity, lights the paschal candle that is carried by Deacon Warren Leonard. Bishop Fitzgerald prays the blessing of the paschal candle at the beginning of the Mass.